Spiders inside the pantry make your life miserable? 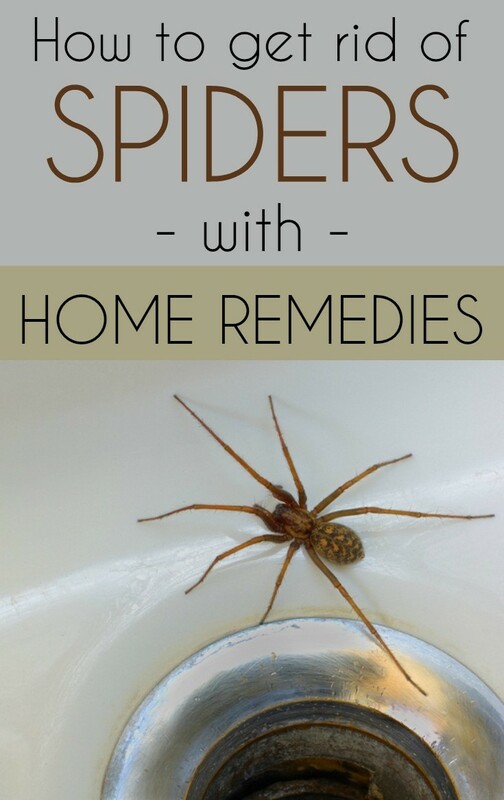 See how to get rid of spiders with quick and effective DIY solutions. The essential oils of peppermint, tea tree or eucalyptus are very effective natural spider-repellents, bringing freshness and a pleasant smell in the house. Use a solution made of a few drops of essential oil and water. Spray it all over the house where you saw spiders or webs. Put chestnuts on the windowsill, behind doors and inside the cupboards where you noticed the presence of spiders. Although there is no scientific evidence to show that the insects hate chestnuts, some people say it is the most effective way to keep them away from your home. Get rid of all those objects and plants that attract spiders, such as old newspapers, piles of old books, empty bottles, etc. Clean often and vacuum behind the furniture, appliances and walls because spiders love these hard to reach areas that are rarely cleaned. A pet can solve the problem because they are snooping around the house, including the dark and hidden places where spiders make their homes. Another effective spider-repellent is made by mixing salt and water and spraying over plants on the porch or in the garden and near the potted plants. The solution must be diluted so it doesn’t kill the plant. Crush some tomato leaves and mix them with water. This is another effective spider-repellent DIY solution. You can keep it in the refrigerator and use it when needed. Scented candles and tobacco smell acts as a spider-repellent, so you can try flavors such as those against mosquito.